I don't usually have the luxury of time to go in for frequent facials at spas so when I go in for a facial, I make a mental note of what products were used on my skin (the fragrance is a bonus!) and at times, I buy them so I can emulate the spa process at home. But before that, I consider a number of things when selecting a spa. The place, the reputation, the feedback from friends/family, the products they use and the customer service. I find the last one to be significant because it determines if I will return to that spa. Having said that, Cleopatra's Spa has always been a favorite of mine. Always. 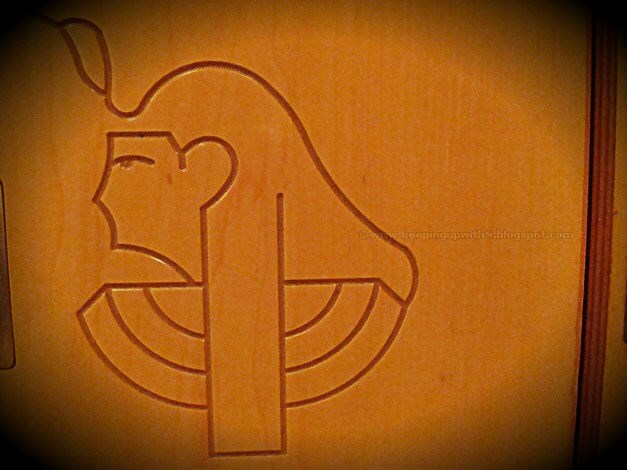 I'm not sure if it is The Pyramids (location of the spa at Wafi Mall) or the fact they use Elemis in their facials. 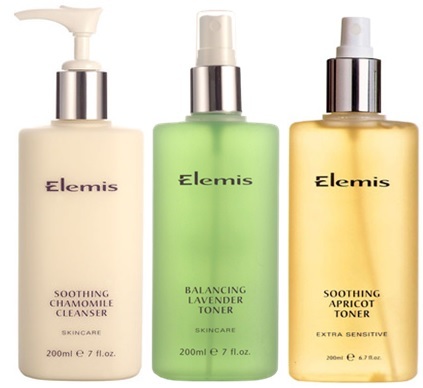 I think it's a combination of both because I am obsessed with ancient Egyptian history and Elemis is one of my favorite skin and body care brands (find your favorite from my reviews). I headed to Cleopatra's Spa for the Visible Brilliance Facial. Visible Brilliance is a serum I love like crazy (here's why) so I could only imagine the wonders of the facial. And I was blown away by the result. No exaggeration here- I wasn't expecting such results because of all the facials I've been to, I haven't achieved this kind of result. Before I tell you about the result, let me take you through how my facial went and what was slathered on my face. The facial began with the therapist, Mary asking me a few questions about my skin care routine and what I was expecting from the facial. I always look for something that will keep my skin hydrated. After this, she led me to the room and while I was lost in thought about a certain handbag I had my mind set on, she applied the Soothing Chamomile Cleanser to remove the day's impurities off my face. That cleanser's fragrance was soooo amazing and gentle on the skin. She then followed it with the Balancing Lavender Toner which is alcohol free(!) so it doesn't dry the skin. She applied the Soothing Apricot Toner on my eye area- yes, you can use this specific toner for an eye treatment. So now my face was ready for the next step- exfoliating. My therapist recommended the Papaya Enzyme Peel instead of a previously agreed upon granular exfoliator because I had two zits on my face (I hate them so much!) and she didn't want to aggravate them. Bonus points to her for scrutinizing my face to such an extent. I use the Papaya Enzyme Peel at home so I was no stranger to how it works on the skin. Then came what I love- face masks! I was told this was a 2-mask phase...I had no idea what I was in for. The first mask was an Amino Acid Peel Off Mask. It comes in a fine powder format where you have to mix it with a little water to create a paste. When it was applied to my face, it felt cold and thick like cream- I'm not complaining, because it felt amazing! Silk Eye Compresses were put on my eyelid and I kid you not, a few minutes later I almost dozed off because it was so relaxing (this is embarrassing). When the mask was 'peeled' off, it literally felt as if a layer of gunk was taken off my face. I've used peel off masks at home before but this was something else. My face even felt cooler for some reason. The Amino Acid Peel mask among other things, contains donkey's milk. I laughed when I spotted that within the ingredients list but then it hit me why my skin felt amazing post the peel off. The milk has moisturizing properties and leaves your skin as smooth as silk- even Cleopatra used to bathe in donkey's milk! I inquired if I could purchase it, unfortunately it's only for professional use. The 2-mask phase was complete with a Herbal Lavendar Repair Mask. To conclude the facial, the SOS Emergency Cream was applied to the zits. I have used this at home before so I was quite happy I knew about some of the things being put on my face. I don't remember if a moisturizer was applied. Ok, time to reveal the results that I have been going on about! Mary handed me the mirror and here's what I noticed- my face was radiant and (obviously looked) hydrated. I was pleasantly surprised because I have been to facials at several spas before and while I have noticed a difference on my face (more like smooth skin), this facial really made my face look brighter. I actually realized how radiant my face was when I got home. The lighting at home is different than that of the spa room so I was extremely happy because my face was actually glowing. No wonder it's called Visible Brilliance! And you know why I love this even more? The results of the facial lasted for 48 hours instead of 24 hours. The next morning when I woke up, my face still looked radiant and moisturized. I didn't apply moisturizer when I went to sleep the night before. I can't get over the fact that this facial truly imparts the said radiance/brightness and it is the perfect facial for a bride to be or for those attending special occasions. All I expected from this facial was a squeaky clean smooth skin and moisturized face but I got a lot more. This facial has become my favorite and I don't think there's any on the list at Cleopatra's Spa that does the same. The Visible Brilliance Facial is an anti-ageing facial and although I am not in dire need of anti-ageing products, the therapist mentioned it would, for my skin serve as a an excellent hydration and clarified complexion treatment. This facial has my seal of approval and I can't wait to get it done again (most probably the evening before Eid!). loooove this. Cant wait to try it!! I have not heard of the visible serum before but im gonna test it out soon. oh wow you had wonderful experience.